Stocks rise and fall but most people who invest in stocks online only make money when share prices go up. But what if you could make money from falling share prices too? As it turns out, there are lots of ways to make money when stocks fall, including buying put options and selling stock short. It makes a good deal of sense to learn how to short a stock because business cycles will cause stock markets to undulate over time. The old saying is that markets climb a wall of worry higher, decline lower, and then repeat the cycle. If you know how to sell short, you can profit from falling share prices as opposed to waiting patiently for them to recover. Since the market moves up and down, it makes sense to know how to profit in both directions. STEP 4: RETURN THE SHARES TO YOUR BROKERAGE AND MAKE MONEY! To borrow stock from your broker, you will need a margin account. Good brokers make margin available to clients, so provided you meet the qualifying criteria of your broker, you should be able to simply open a margin account. The reason you need a margin account is that opening a short position requires that you borrow shares and like any other borrowings, you must pay interest charges for the privilege. Once you have a margin account, you can request to borrow shares from your broker, who is responsible for locating the shares. The way it works is the broker finds another investor who owns the shares and borrows the shares temporarily while agreeing to return them at fixed date in the future. Brokers like TastyWorks and thinkorswim offer margin accounts that allow you short the market. When placing an order in your online brokerage account, you will have the option to Buy, Sell, Buy To Cover, or Sell Short stock. When you make money more conventionally by buying stock at one price and selling it at a higher price, you enter Buy and Sell orders. When you short sell stock in order to make money when it falls, you Sell Short to begin the trade, and Buy to Cover to close out the trade. The cash from the sale is deposited into your account when you enter a short sale. When the share price falls, you can buy the shares back with a Buy to Cover order. Similar to when you buy a stock more conventionally and sell it at a higher price, you are also buying low and selling high when shorting stock. The difference is only in the timing. Instead of starting a trade with a purchase and later ending a trade with a sale, you begin the trade with a sale, and end the trade with a purchase. When you enter a Buy To Cover order, you are returning the shares to your brokerage. If the share price is lower when you enter the Buy to Cover order than when you entered the Short Sell order, you make money. The amount you make is the difference between the share price at which you sold the stock and the share price at which you subsequently bought to cover the stock, minus commissions and fees. You spot that shares of a particular stock are trading at a price of $100, which you evaluate to be too high. If you have a full-service brokerage account, you can contact your broker or if you have an online trading account, you can simply enter an order to Sell Short stock. Let’s say you decide to sell short 50 shares of stock. 50 shares multiplied by $100 per share is $5,000, which gets deposited into your brokerage account. Remember it’s not free money. Like a loan, you are paying interest on the borrowings for the duration of the trade. Each broker will have a different interest rate, so make sure to find out what it is before you begin. The last thing you want is your profits from short selling to be offset by the costs of interest charges. Fast forward now in time when the stock has fallen to $80 per share. You now enter an order online to Buy To Cover 50 shares at $80 per share. Since you sold the stock for $100 per share and bought it back for $80 per share, you get to pocket the $20 per share difference or $1,000 (50 shares multiplied by $20 per share profit). The shares you originally borrowed are returned to your brokerage and you walk away with a handsome $1,000 profit minus the borrowing costs, commissions and fees paid. A word of caution when short selling stocks that pay dividends. If the company pays a dividend during the time when you shorted the stock and returned it to your brokerage, you are responsible for paying the dividend. Here’s a list of some dividend paying stocks that have high yields and strong profitability. Generally, stocks like these are ones that favor buy-and-hold investors and should be approached with caution by short sellers. Short selling has a variety of risks that you should pay close attention to before entering a short sale order. If you are keen to short a stock, calculate costs and risks in order to make a more informed decision. Better to do a little extra homework upfront than pay the price later by learning the hard way through losing money. When you buy stock, the most you can lose is what you pay for it. In a worst case scenario, if the company were to go bankrupt and the stock were to fall to zero, the most you would lose is what came out of your pocket to buy the shares. But when you short shares, you take on much greater risk. Your goal when short selling shares is for the share price to decline. If it rises, there is theoretically no limit to how high the share price can go, which means theoretically there is no limit to how much you could lose! During stock market bubbles, a host of reasons can be cited for why the market should rationally fall. But time after time, markets move much further than investors expect, both to the upside and the downside. As a short seller, one of the more risky times to enter a position is when stocks are pushing to new highs. The temptation to pick the precise moment when stocks will turn is high – after all, it’s when most money is made. But few have succeeded in such ambitious market timing, at least not consistently. Generally, it is a good idea to place stop losses on positions to limit the risk if the short sale position goes against you. Another way to hedge against losses is to buy call options in conjunction with a short stock position, which offers some protection against rising share prices. If a shorted stock rises sufficiently, you may be at risk of a margin call. If you fail to meet a certain cash balance in your account, your broker has the right demand that you deposit more cash or liquidate your position. The interest you owe on a short stock position adds up over time. Over the course of a few days or weeks, it generally is not sizeable but if you were to hold a short stock position for months or years, the accumulated interest costs could be substantial. During periods of high market volatility, regulators sometimes impose bans on short selling. The idea is that they want to limit the number of downside bets to restore more confidence to the market. As a short seller, these regulatory bans can put a floor beneath share prices so that they don’t go much lower. Worse still for the short seller, stocks can rally during such times, which results in a short squeeze. 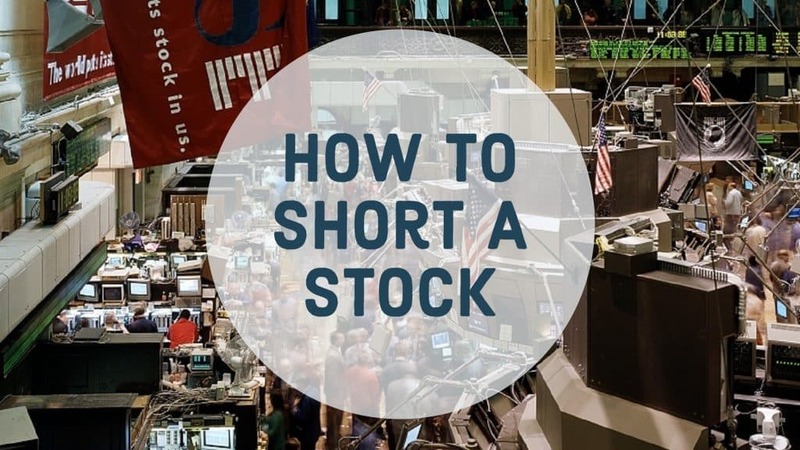 A short squeeze occurs when share prices spike because short sellers scramble all at once to exit their short stock positions. Losses can add up in a hurry at these times. As the short seller, you are obligated to pay dividends on the shorted stock. Other unpredictable events, such as stock splits and new share issuances can also hurt short investments. Have you shorted stock before? What are your experiences? Tell us below. >> Which Brokers Are Best For Free Online Stock Trading?